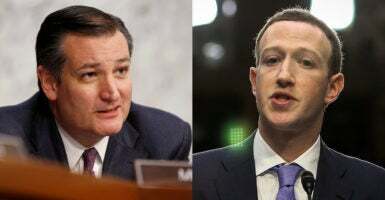 Sen. Ted Cruz, R-Texas, and Facebook CEO Mark Zuckerberg sparred over political bias and censorship during the Senate’s hearing Tuesday. Lawmakers questioned Zuckerberg about the social media company and its handling of user data. Cruz specifically asked if Facebook considers itself a neutral public forum. A full transcript of their exchange is below.